After taking drawing classes, and falling in love with colored pencil, I decided to try watercolor. My teacher was the same woman, Eva, who I loved and who was very encouraging and supportive. You need that when you are starting out (or maybe always) – someone to recognize that you have something, a little bit of talent, that merits nurturing. I didn’t really understand what she was saying – that there is an unexpectedness and beauty when you let watercolors “do their thing,” when you add paint to a wet surface and let something magical happen! 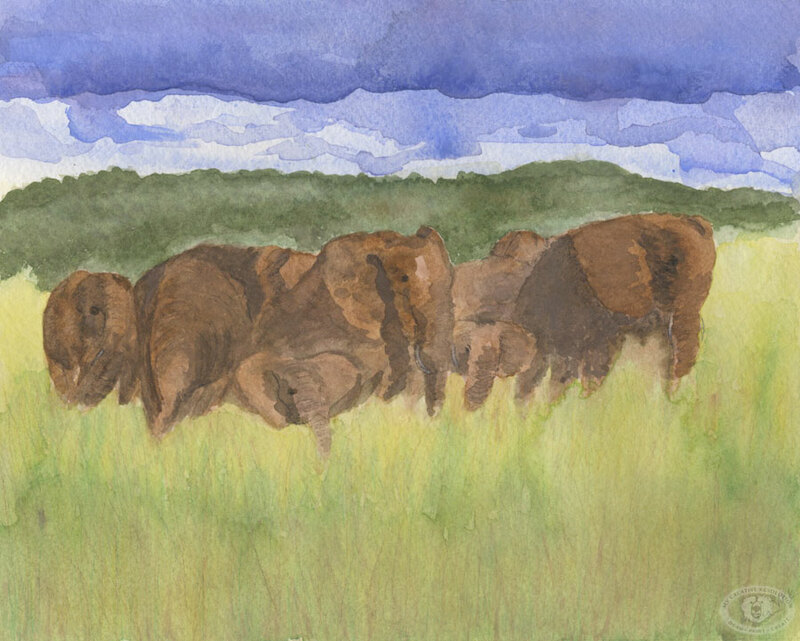 Shortly after, I created this painting below, of the elephants. I was especially proud of how the clouds came out. I let it “happen” by picking up the paper and letting the paint roll around. It took me awhile to let go and loosen up. During the drawing class, I was trying to be perfect, to draw perfectly. Now, years later, I’m loosening up more and more and I’m finding that “not perfect” has a style to it. A style I’ve been aiming for, for years. Now, I enjoy letting the watercolor do something unplanned and then creating a piece around that. As the years went by I started using watercolor pencils in some areas, to add detail. 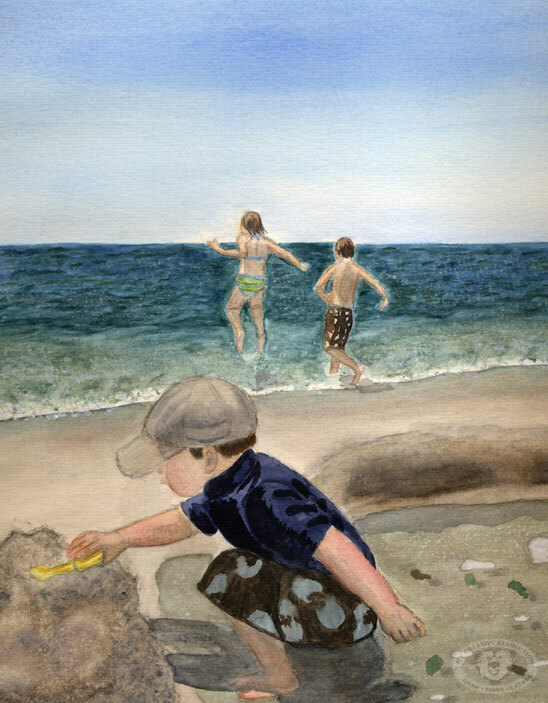 The first painting in this post, of my kids at the beach, is my favorite watercolor to date. Click here to see my favorite watercolors. 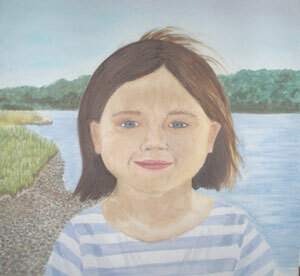 Categories: Watercolor | Tags: Art, beach, Drawing, illustration, painting, watercolor | Permalink. Your watercolor sketches delighted me this morning, thanks for posting your struggles and successes. What an interesting post Eileen. Wow, your first watercolor WAS so controlled it doesn’t even look like watercolor. The one of your children is amazing. Watercolor is ever changing, and I do believe a style all our own develops. You really can’t paint watercolor like someone else. Interesting medium for sure. Thanks Margie! I’m glad you enjoyed the post. I am proud of the one of my kids. But if I sat down to paint it today it might be very different. I think my style has changed. I don’t know if there will be an endpoint -where my style is done evolving or if time and practice will continue to change it. A timeline of work would be an interesting thing, although I think I would need an outsider’s point of view. Hmmm. I think we are ever changing and evolving as creative beings. So I say go with it and enjoy the journey. See where it takes us.